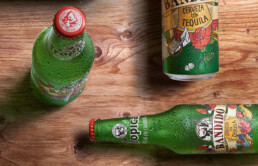 By designing a brand platform inspired by the casual and festive Canarian spirit: a product positioning that is both cheeky and irreverent, and a graphic design that is modern, fresh, and related to evocative tequila imagery. 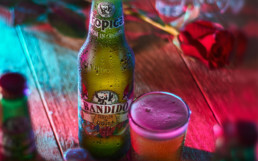 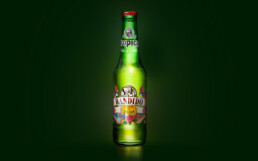 The goal with Bandido was to create a brand experience that maintained its filiation with Tropical, its mother brand, while having its own identity. 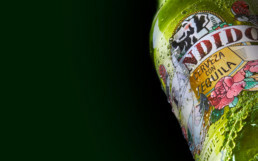 In this case, we designed a graphic identity inspired by tattoo art, which effectively translates the irreverent aspect of the product, destined to a cool and casual target. 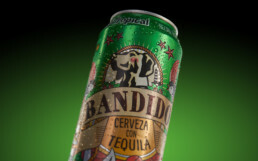 bold and original storytelling speaks of a new way to live and enjoy life – the Bandido way.